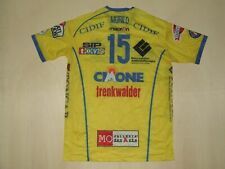 MAGLIA VOLLEY DELLA TRENKWALDER MODENA INDOSSATA DA MURILO. I SEND IN ALL THE WORLD. SPONSOR TECNICO: MACRON. SPORT: PALLAVOLO. TEAM: MODENA. GIACCA JACKET. 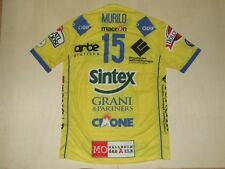 MAGLIA VOLLEY DELLA TRENKWALDER MODENA PERSONALIZZATA MURILO 15. SPONSOR TECNICO: MACRON. MAGLIA PALLAVOLO. 1 SHIRT: 16 EUR. ASCELLA 56 cm. MAGLIA VOLLEY DELLA TRENKWALDER MODENA PERSONALIZZATA RICARDO 17. SPONSOR TECNICO: MACRON. GUARDARE LE FOTO! Usati ed in buone condizioni generali - Qualche piccolo segno di usura nel tessuto. Authentic shirt made by Asics - Made in Italy. The shirt is in very good conditions! Season 1996/97 in which they won the italian League, the italian Cup and the Champions League. Pezzo davvero introvabile, da collezione. OPPURE LE TUE SCARPE DA GINNASTICA, DA CALCIO, DA PALLAVOLO O DA CALCETTO! LIU JO MODENA VOLLEY TEAM. _nkw=PALLAVOLO&_sid=196472985. CERCHI ALTRI PRODOTTI PALLAVOLO?. LIU JO MODENA. 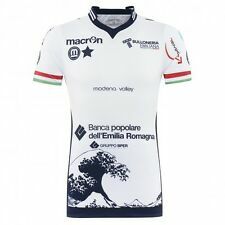 MAGLIA GARA UFFICIALE AUTENTICA. OPPURE LE TUE SCARPE DA GINNASTICA, DA CALCIO, DA PALLAVOLO O DA CALCETTO! 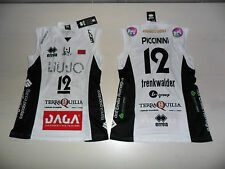 LIU JO MODENA VOLLEY TEAM. CERCHI ALTRI PRODOTTI PALLAVOLO?. _nkw=PALLAVOLO&_sid=196472985. LIU JO MODENA. MAGLIA GARA UFFICIALE AUTENTICA. SHIRT JERSEY. MAGLIA GARA. LA MAGLIA DELLA TUA SQUADRA ! PER ORDINI URGENTISSIMI. _______________________ ______________________. UTILIZZA IL LINK SOTTOSTANTE! CERCHI LE TUE SCARPE. MAGLIETTA GARA. AUTOGRAFATA DA IVAN ZAYTSEV. 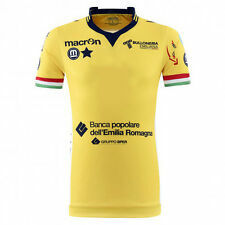 MAGLIA MODENA VOLLEY ORIGINALE. RIPETO - ORIGINALE CON AUTOGRAFO. Sono materiali di ultima generazione, studiati per garantire le migliori prestazioni e il massimo comfort. GIOCATORE IAKOVLEV. LUNGHEZZA/LENGHT: 82 CM. TORACE/TORCH:59 CM.